"If you've got a laptop with a really old battery that drains in a few minutes after a full charge, there's not much you can do to make that old thing last much longer—you'll probably want to replace the battery before you do anything else. 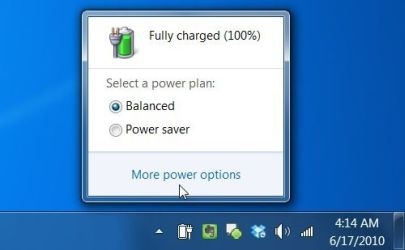 For everybody else, these tips can help you keep your battery working at peak efficiency." The quest for longer battery life is eternal. Manufacturers post rosy figures but those are under ideal conditions with limited use. In the real world, battery life tends to be much shorter, and it gets shorter as time goes on. Lifehacker has posted some tips, some of which are well known, but some which are less common. They provide a good read, and every little suggestion helps. Sadly, despite all the efforts you go through, batteries will eventually die and fail to hold a meaningful charge. Of course, the way things are, you will probably want a new laptop by the time that happens!